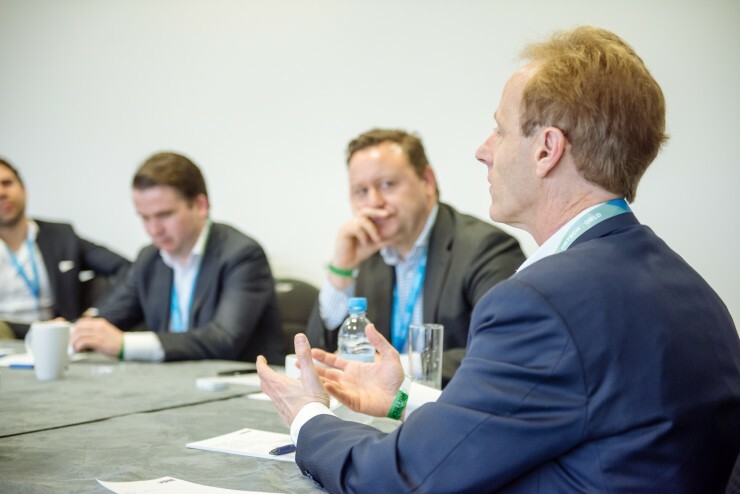 At the recent HR Tech World conference in London, one of the most popular speakers in the line-up was Josh Bersin, principal and founder, Bersin by Deloitte. Bersin spoke about the impact of the “new digital world of work,” and how it forces us to think differently about how we lead and manage our organizations. Here are some areas Bersin called out as providing the biggest challenges and opportunities for HR leaders in the digital workplace. Social feedback and recognition will be built into the workplace experience, Bersin said. Just as you can now rate your Uber driver and the quality of your restaurant meal, Bersin believes more organizations will start deploying social feedback tools that enable people to provide positive and constructive feedback to peers and managers. Josh Bersin at HR Tech World in London, March 2016. Just as HR leaders are starting to replace the annual engagement survey with always-on employee pulse surveys, Bersin believes performance and goal management will also shift to a more continuous model. This will usher in the era of “continuous performance management,” causing disruption to many traditional software vendors. Bersin noted that always-on learning, video on-demand, and video sharing have entered the mainstream. Expert videos and content sharing are taking learning to the next level, and with the learning experience now delivered via smartphone, tablet, and PC, always-on learning is a truly viable concept for today’s workforce, wherever they may be. Bersin believes the hierarchical structure of companies in the digital workplace has already started to evolve. As the success of social recruitment channels such as LinkedIn reach new heights, Bersin believes the entire recruitment model will also shift. Rather than limit their efforts to posting ads and scanning resumes, employers will have recruitment systems that are always-on, sourcing candidates from social and referral networks. Bersin also pointed to the strength of video for online interviews and the emergence of better analytics for assessing candidate quality and informing smarter hiring decisions. Bersin believes the hierarchical structure of companies in the digital workplace has already started to evolve. As digital inspires more people to work in teams, Bersin suggests leadership moves from “positional leaders” to “team leaders,” which will empower the next generation of young, digital-savvy workers to take charge. The impact of digital will lead HR professionals to think differently about their roles, according to Bersin. Design thinking, behavioural economics, and analytics will be key skills for HR pros. Bersin also said HR will start to experiment with forms of A/B testing, innovate with new reward and recognition systems, and focus on employee engagement and retention as the measure of success. Download some of the great presentations from the HR Tech World London show, and learn more about the speakers who made it such a successful event.